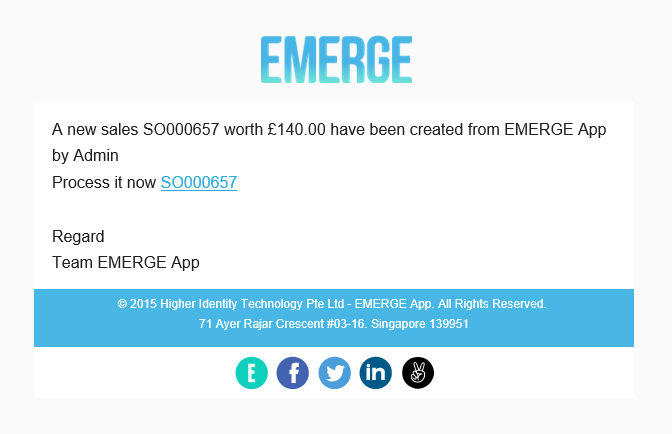 The most popular online accounting solution is now integrated with EMERGE App, where you can keep an eye out on your accounting data with ease. Have a bird’s eye view of all the activity done on EMERGE App by your teams. Notifications of created or edited Sales Orders/Quotations and other details are now easily available at the top left corner. The April update also contains various bug fixes and improvements. Check it out in the app, and let us know what you think. The team is already busy working on the next big update, so please look forward to it.